Home Uncategorized Gold Prices Are Soaring. Thanks to the White House! Gold Prices Are Soaring. Thanks to the White House! Precious metals never fade out. And gold happens to be particularly resilient in this regard. The current political turmoil in the United States has cast a shadow on the markets. The possibility of a shakedown has resulted in even lower markets and glooming insecurity, taking away the confidence in the markets. Investors are rapidly turning towards alternative options as safer-bets for a secured investment. Which means Yen, Bullion and precious metals, particularly Gold! This is the biggest move for gold in two months. The precious metal has had a 1.79% jump in a single day as a direct result of the developments in the United States’ politics. The last time it went up was on March 16th 2017, gaining 2.77%. The highly uncertain environment in the US markets lately has instigated the surge. There was already speculation about an overhanging turmoil after President Donald Trump fired the Federal Bureau of Investigation’s Director James Comey. The move had come out as a surprise and naturally, shook the market. But as the events unfolded, it turned out to be just the tip of the iceberg. The real problems arose after it was reported that Comey was in possession of records, which proved that President Trump had asked him to drop a particular investigation FBI was leading. This investigation was against president Trump’s former National Security Advisor, Michael Flynn, and his ties with Ru­ssian officials. To top it off, the President of the United States is again under scrutiny for leaking highly classified information regarding a sensitive Islamic State operation to Russian Foreign Ministry officials. This is not the first time any such allegation has been made against the highly controversial president. And now the impending possibility of an impeachment has put the investors in a fix. Amidst this unstable situation, the markets have suffered the worst. US dollar index has also gone down to its lowest level since the surprise presidential election win of Trump in November. 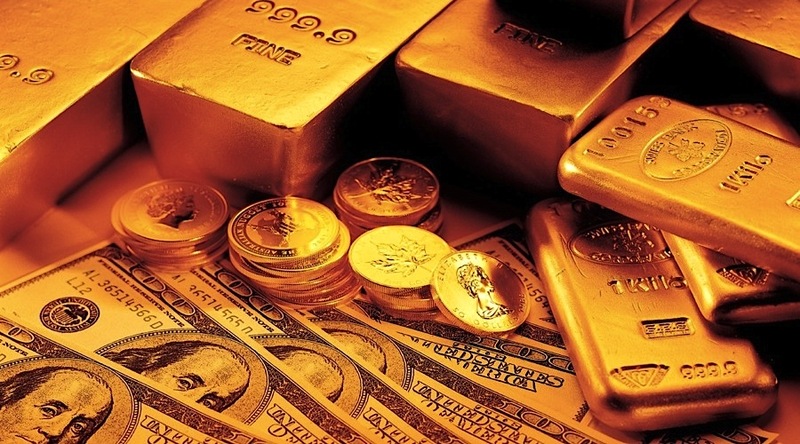 As the markets increasingly became insecure, gold attained overnight gains. Reaching its highest level in the span of two weeks. Comex gold futures rose up to 0.8% to $1,246.42 a troy ounce, while spot gold peaked to $1,246.64. The slowing US market has affected US Dollar the worst, which has sunk to its lowest in six months. The vulnerable market situation has increased demand of risk-free investments such as global equities. The highly volatile market situation can only be fixed after the crises in the White House are overcome. Till then, the world is playing a wait-and-watch game. Next articleNow You Can Have Your Own Castle In Italy, For Free!